Gattu falls in love with his neighbor Binni who is considered to be his sister by his parents and the society. One line Review: The light hearted rom-com features some utterly jejune sequences but manages to make you laugh at recurring intervals. 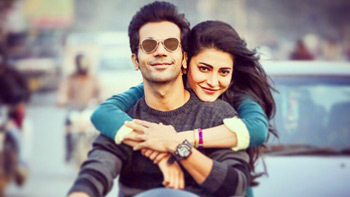 Positive Points: The comic bits are fun to watch with Rajkummar Rao and Herry Tangri’s praise worthy performances. Negative Points: A half backed love-story with no strong plot, topped with some utterly nonsensical and immature sequences. Oddball Motion Pictures to show the bravest Indian Operation ‘Surgical Strike 2016’ on the Silver Screen! Check out Rajkummar Rao’s drastic transformation for his web-series!